Not so very long ago – 10-15 years – it was totally unheard of to work professionally with larping. Some probably did it, but they were mighty few and spread out thin. Today, this is very different. More and more people make their living (or some of it) by doing larps or larp-related things. Researchers, game designers and pro larpers are just a few of those for whom this is true. For many of us, the annual Knudepunkt events in the Nordic countries are the best place to go if we want to learn and swap experiences as professionals (or aspiring professionals). But Knudepunkt isn’t a conference for larp professionals, even though it attracts its fair share of them. And that’s just as it should be. This does mean that we’re lacking a meeting place, though. 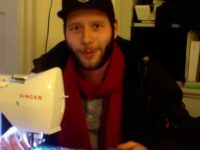 A place where it’s understood that if you’re there, you’re interested in larp not only as a hobby, but as a profession (or as a spin-off of your profession). We don’t have any solid numbers on how many people would be interested in coming to a conference held by professionals, for professionals, talking about professional things. But we’re quite sure that the number is high enough to merit starting up an annual one. And that’s exactly what we’re going to do! 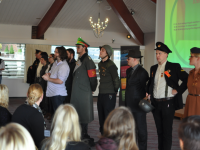 On november 15 – 17, 2013, Rollespilsakademiet is going to hold the first Prolarp conference. Where we’re going to do it, what the prices will be exactly and how big it’ll be are not yet set in stone, but these are the dates we’re going for and this is what we want to do. We hope you want to come and help us make this a reality, because we think this is something that’s needed. One of the things that’s struck us at times, is that it’s often the small, informal spaces that lead to the biggest gains in understanding. 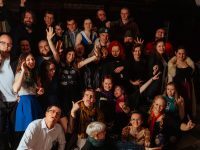 For this reason, Prolarp will not be a long series of talks and debates in big groups, but will mainly feature idea swapping, problem solving and strengthening of personal networks. We’ll have talks and debates, of course, but we’ll mostly try to get people talking about what actually interests them and see if others can contribute to solving their problems. Right now, we know who’s going to carry the main burden of getting this done (that’s us) and we know who we want to attend (that’s you). 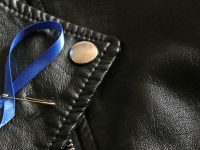 What we don’t know yet are specifics, and that’s why we’re asking for help. Maybe you know of a cheap conference hotel in Prague where this could be hosted? Maybe you have ideas on how to sell the idea to sponsors or want to write applications? Maybe you just have some good thoughts on who we should invite that we haven’t thought of. If nothing else you can always say ”Cool, when can I signup?” or ”That’s a horrible idea, it’ll never work!”.